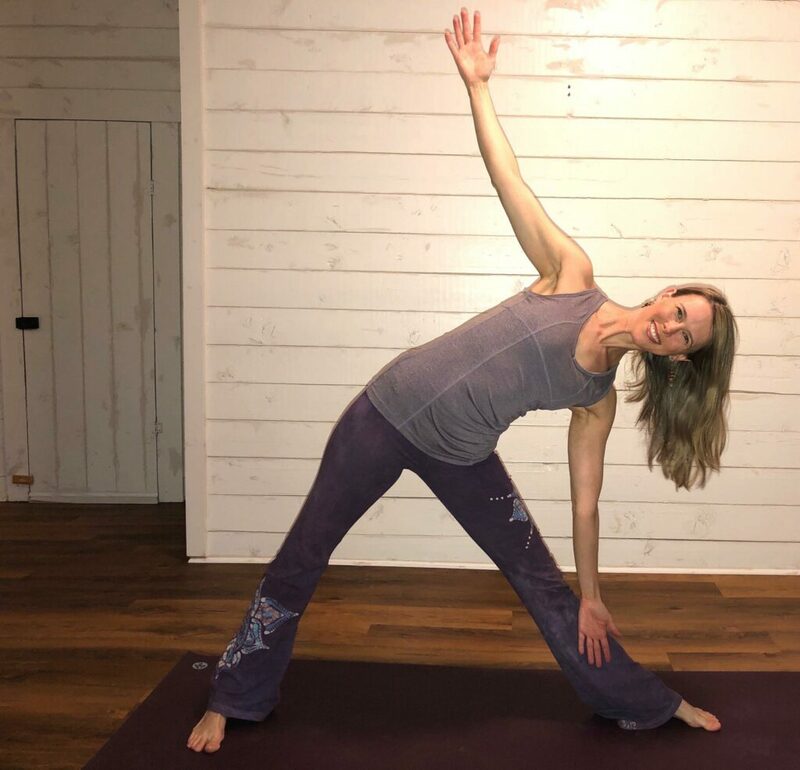 I have had a personal vinyasa yoga practice since 1996, and have enjoyed the benefits of greater flexibility & strength, as well as the connection to my center, and calming energy it brings to my life. I have two daughters, and have lived with my husband, nestled in the woods of Pittsboro in Chatham County NC, since 2004. In 2015 I completed an 85 hour certification for Prenatal Yoga with Andrea Dixon and Sara Doyle at Blue Point Yoga, Durham, NC. This compliments my career as a Birth Doula, and I also incorporate teaching poses with my clients during prenatal meetings. I am full of gratitude for the opportunity to teach group classes for pregnant people, and to help bring peaceful, grounding strength into their pregnancies. I believe that one can find benefits in yoga on many levels. Mindfulness, connection to self, connection to the Divine & the Earth, return of the body to homeostasis, muscle & ligament length, increased blood flow, internal organ health, and just a good overall workout. and help prepare your body for the rest of pregnancy, as well as for giving birth. Classes consist of time to check in with how each person is feeling that week. We center in the present moment with a generous amount of time for quiet mindfulness & inward focus. We then link our breath with movement into poses/ asanas that are specifically tailored to each person, depending upon what trimester they are in, and any aches & pains they may be feeling that week. We end with a nice long Savasana (final relaxation)! The focus of each pose is on strength, balance, length, softness, & ease for the muscles and ligaments which support a growing belly. This focus also helps to prepare your body for more ease in the birth process. Those new to yoga, as well as seasoned yogis are all welcome to join in this supportive community class. Come and share the journey, and make some friends with other pregnant people! Please arrive 15 minutes early to sign in, and get yourself and all of the props settled. Please also consider registering ahead of time to allow for a smooth transition into class 🙂 Hope to see you there!